Dopod Brings Blackberry Connect to HTC Devices | BlackBerry Blast! Dopod International Corporation and Research In Motion today announced the availability of BlackBerry® Connect™ software on the 838Pro and C720W devices for customers in Asia. 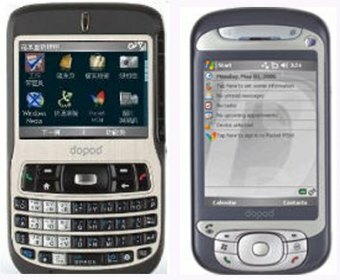 Through the existing licensing relationship between High Tech Computer Corp. (HTC) and RIM, Dopod International will offer BlackBerry Connect to enable customers of the Windows Mobile-based 838Pro Pocket PC and the C720W smartphone to access popular BlackBerry services with support for both BlackBerry® Enterprise Server and BlackBerry® Internet Service.